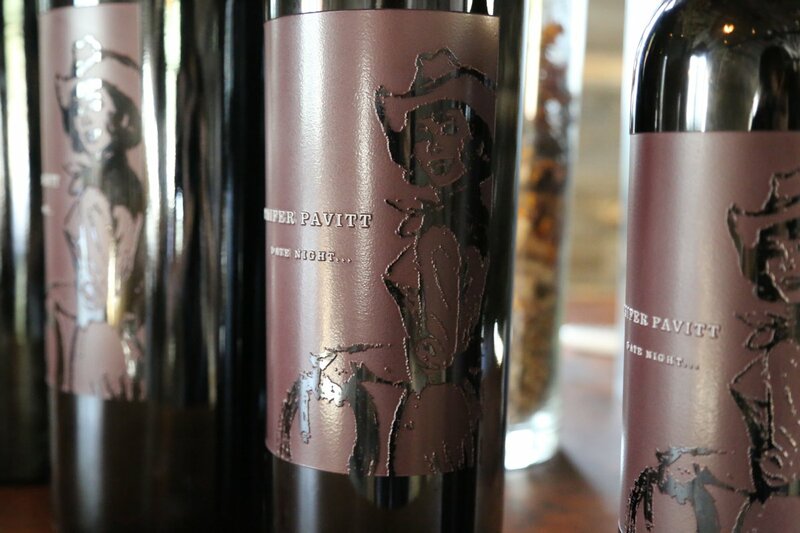 Phifer Pavitt Winery is owned by Suzanne Phifer Pavitt and her husband Shane Pavitt. Suzanne is originally from tiny Ringgold, Georgia where she grew up on a 15-acre farm. Both she and Shane have enjoyed wine for many years and before owning their current property, spent significant time on the West Coast looking at various properties in “wine country” from Washington and Oregon to a number of regions in California. 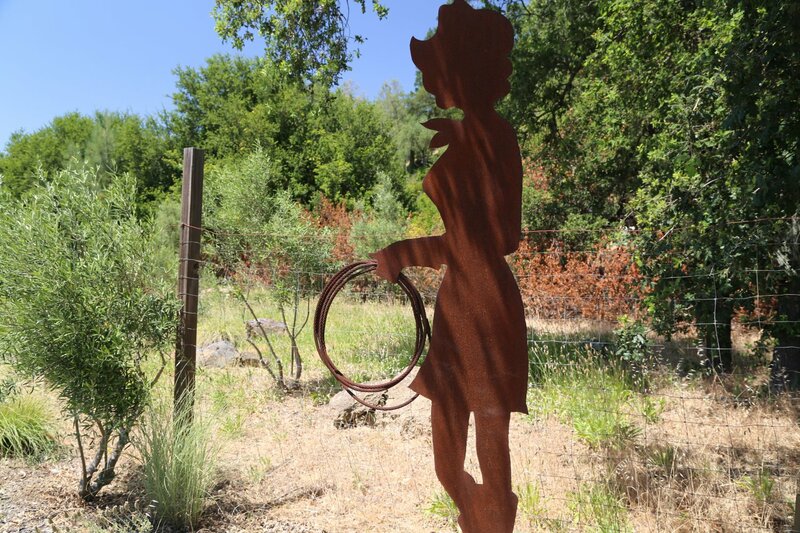 Finally in 1998 they discovered a beautiful almost entirely hillside piece of property near Calistoga and over a bottle of Araujo Estate (now Eisele Vineyard) wine made the decision to purchase this property. This was ironic considering that the iconic Eisele Vineyard is extremely close to part of Phifer Pavitt’s own property. Their first vintage is from 2005; the flagship wine produced each year is always a premium Cabernet Sauvignon called “Date Night”. In order to understand why this wine is named Date Night one must hear the story behind the name. What is Date Night? It is a night reserved for once a week where couples (married or not), take time to themselves away from other distractions whether at a restaurant, an evening in a library or just time together somewhere out of their normal day to day lives. This wine is a tribute to Suzanne and Shane’s “date nights” where some of their biggest decisions have been made including the decision to start this winery. Oh and with a name like this, the wine is very popular for Valentine Day gifts and other romantic occasions. 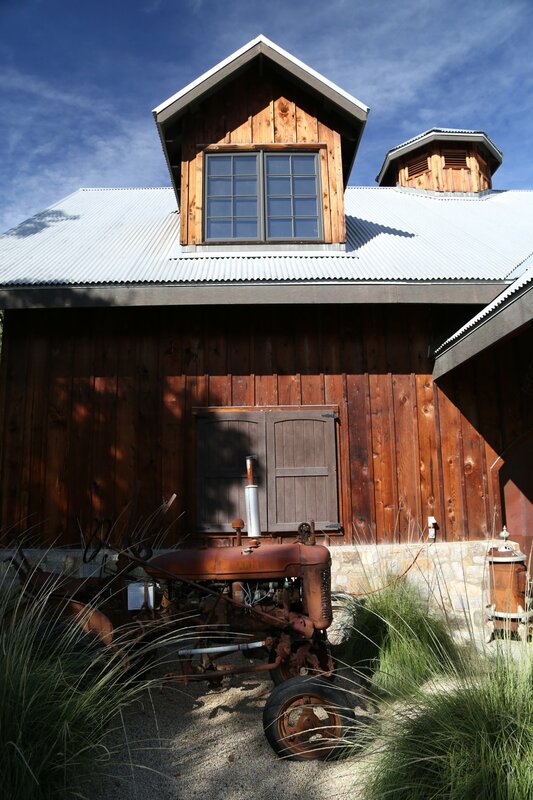 Since 2005 they have sourced grapes fruit from the Temple Family Vineyards in eastern Napa County in Pope Valley. Their wine is Bordeaux in style from vineyards that are entirely micro-managed and farmed organically. Each year they typically produce around 1,000 cases of this wine. However more recently approximately 2.5 acres of two clones of Cabernet Sauvignon were planted on the hillsides next to the winery. Rather then remove all oak trees in favor of the vineyard, the Pavitt’s elected to keep some of the ancient oaks and simply plant the vines around them. 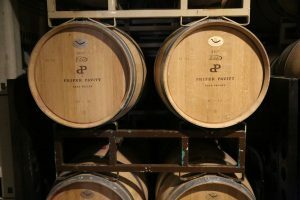 The Phifer Pavitt Sauvignon Blanc (from the Juliana Vineyards in Pope Valley) is a rich fruit driven wine – their style is not known for the grassy sometimes green characteristics this varietal can impart. The 2017 Phifer Pavitt Date Night Sauvignon Blanc is straw yellow in the glass with sweet aromatics including tropical floral notes (honeysuckle) pineapple and ripe peach. The sweetness of the aromatics continue onto the palate as a perceived sweetness. Texturally rich (a creamy quality), the wine delivers concentrated flavors including citrus and ripe red apple and a very long pleasing finish. Part of the richness and texture comes from when the wine was stirred weekly during its aging while on the lees (over a span of three months). 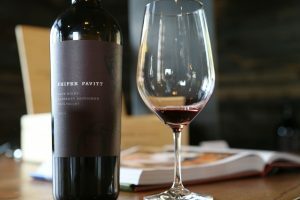 The 2005 Phifer Pavitt Cabernet Sauvignon is all about the fruit without being to fruit forward. It has a delightful nose with seductive aromas including blackberry, dark chocolate and hints of sage. The entry is immediate and pronounced – with delicious flavors of blackberry and black currant along with notes of toasted oak mid palate with just a hint of spice on the finish. This wine is very approachable at a young age and is extremely smooth from start to finish. The finish lingers – anchored by ripe tannins that are in balance with the rest of the wine’s profile. One sign of a great wine is its balance. This wine is perfectly integrated in aroma, flavor and structure. An extremely limited production reserve Cabernet Sauvignon is only produced in years where a barrel or two stand out as being exceptional. And Phifer Pavitt also produces a very limited sparkling wine. Ted Osborne is one of the most under-rated winemakers in the Napa Valley. He is not a celebrity winemaker and doesn’t pursue wine maker dinners, crave publicity and or seek the spotlight. Rather he prefers to let his work show for himself and his wine’s certainly do that. 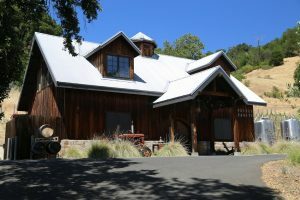 He has plenty of international wine making experience with stints in Bordeaux, South Africa and Australia as well as previously working at Storybook Mountain, Piña Napa Valley and currently running his own label, Olabisi Wines (with a tasting room in downtown Calistoga). Some of Phifer Pavitt’s early success was based on utilizing the power of viral marketing on the web and riding the ‘wave’ created by wine bloggers and other online journalists. 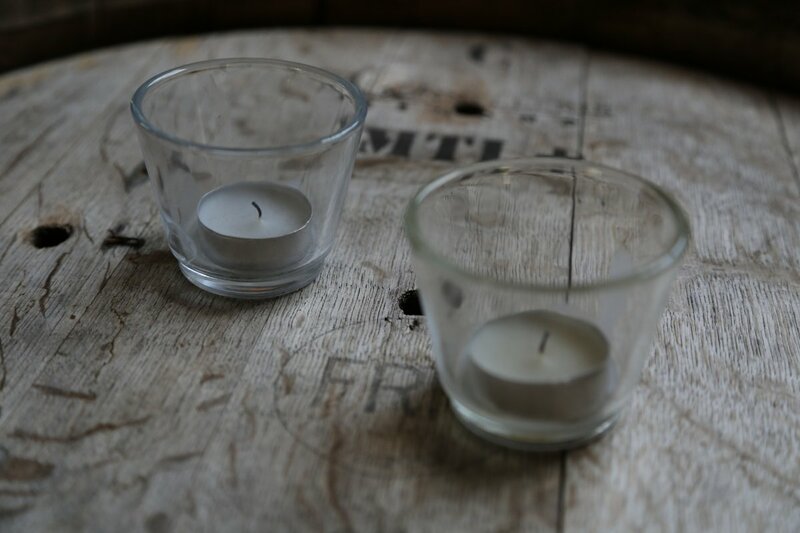 Their marketing philosophy is actually rather simple; if people enjoy their wine they will tell others. This is a philosophy that has been very successful; much of their wine now sold through personal referrals. 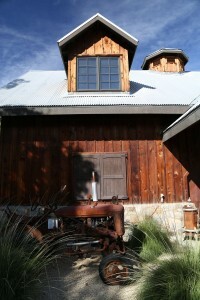 The winery itself is located directly next to the Silverado Trail just south of Calistoga. 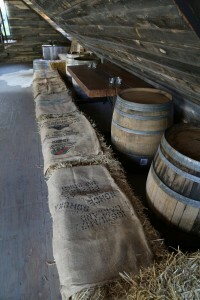 The first floor (originally the tasting room) now serves as their barrel storage; the crush pad is located just outside. 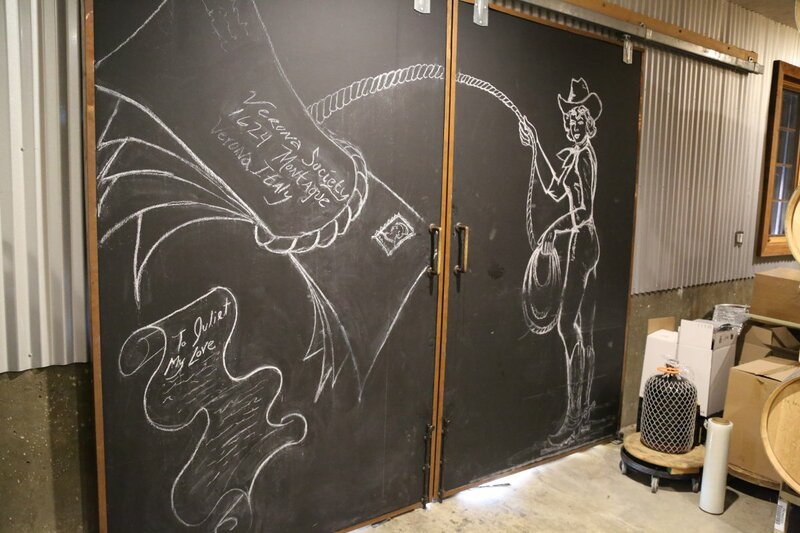 The second floor has been converted into the tasting room – it is spacious, with a western feel (including a soundtrack that mostly features old country and western songs). Many of the materials used in the construction and decoration of the winery had previous uses and have been creatively re-purposed. This includes the metal cages surrounding the outside lights – these were made from wire that held their olive trees in place when they were transported to the property. 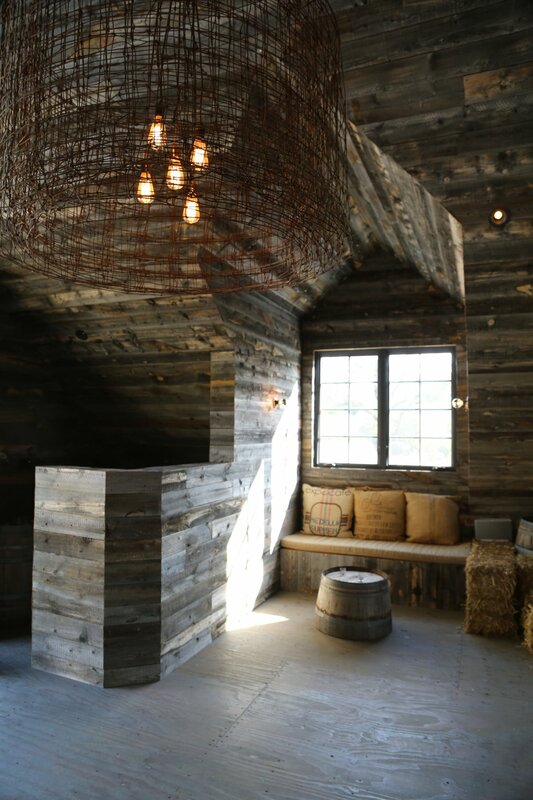 Baling wire found on the property is now used to cage some of the inside lighting and the barn’s interior wood was recycled from wooden snow fencing from Wyoming. But perhaps the most intriguing material was the use of recycled blue jeans for the buildings’ insulation. 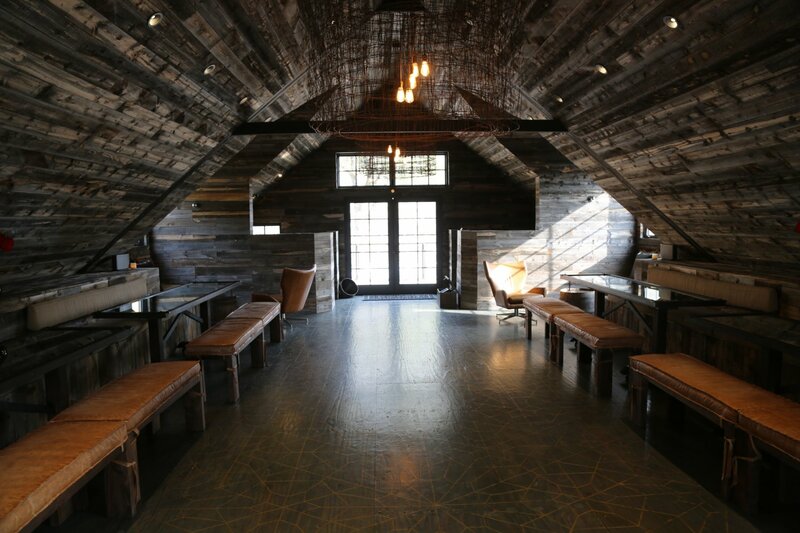 And one of the more unique tasting bar tables is located upstairs – a 2,000 pound piece of black walnut wood hangs from the ceiling mounted into the buildings’ metal supports. 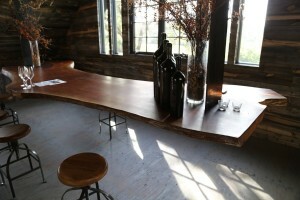 Remarkably the table moves from side to side. In 2018 the winery announced a partnership with The Bardstown Bourbon Company to create Phifer Pavitt Bourbon. Phifer Pavitt has already received positive press; the inaugural 2005 vintage was voted as one of the Top 100 Wines of 2008 by the San Francisco Chronicle. 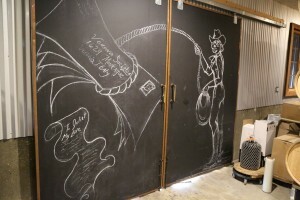 They maintain a mailing list and have select distribution in Los Angeles and a nice following in Nashville. Locally you can find their wine at ACME Wine Store in St. Helena or Solage Resort in Calistoga. 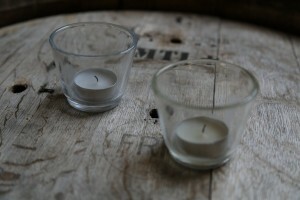 For more information or to join their Verona Society (bottle quantity options vary depending on membership), or be added to their wait list (for non Verona society members), visit www.phiferpavittwine.com.